Lambsquarters, also spelled lambs’ quarters, aka white goose-foot, has the distinction of being one of the most nutritious plants in the world. Note the following characteristics: goose-foot leaf shape and white powder (sometimes lavender) on the central growth tips. (See Eating Wildly Chapters 7 & 10 for lambsquarters recipes). Oyster mushrooms can be found in my area throughout the year, but I particularly enjoy the late summer/early fall Pleurotus ostreatus as they are often available in that in-between season, when other edibles have gone past their prime. Note: gills run down the short stem, the mushrooms bloom forth in clusters from a generalized central point, and it has a white spore print. (See Eating Wildly Chapters 1 & 17 for inspiration and recipe). Field garlic, aka wild garlic or onion grass, is one of the few things that grows throughout the winter months and for that reason alone it’s a prize. It’s best in the early spring when the fresh young shoots come out and the leaves are at their tenderest. See Eating Wildly Chapter 3 for a field garlic recipe. I love the lemony kick of wood sorrel in salads. Note the heart-shaped leaves and the clover formation. No wonder it’s also called “shamrocks.” See Eating Wildly Chapter 5 for more culinary information about wood sorrel. One of the choicest mushrooms in North America, yellow morels can only be gathered from the wild. Note the honey-comb pattern, and — unlike the “false morel” — Morchella esculenta is hollow inside. See Chapters 13 & 14 for cleaning/drying techniques and a recipe. Here is garlic mustard in its late spring/early summer form like a stalky teenager about to flower. In its younger winter-spring form, it flourishes as a basal rosette that hugs the ground, with scalloped-shaped leaves. Although it’s a weedy invasive here, I still have fondness for this plant in all of its culinary forms. 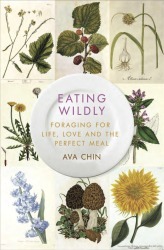 See Eating Wildly Chapter 7 for a yummy recipe. I hope you’ve enjoyed this visual diary of the Plants & Mushrooms of Eating Wildly! I’ll be periodically adding more photographs as they come. Love, love, love this!!! I knew what everything looked like except the garlic mustard!! Just great! Thanks Kathy! I finally got around to doing this, and it feels great. So glad you like it. Beautiful photos and great information, thanks! Thanks Valerie! It’s been a wonderful journey learning, finding, and preparing all of these wild edibles. Thanks for stopping by! Yay! Thank you for sharing this with me! I am so excited to try to find them. Once you find them, you will start to see them everywhere, Ashley. Foraging is like that. Thanks for dropping by! Thanks for these great images! Wishing you & your family a joyous Festive Season! Thank you, Karina, for your kind words — and for spreading the word about the book! Your work sounds fascinating. Have a lovely New Year, and I look forward to learning more about Lavender Hills Herbal! I just saw your spot on “Study With The Best”. I was so inspired I just purchased your book and can’t wait to get it. My maternal grandfather was from Western France and a real woodsman. Some of my earliest recollections are of mushrooming with him on our family vacations. I would love to expand my extremely limited knowledge by doing more. I’m afraid of poisoning myself by trying to match what I find against pictures in a book. Therefore, is it possible that you offer courses on mushrooming/foraging? If so, where do I sign up. If not, can you recommend any courses/societies/clubs that do? Your input would be very much appreciated. 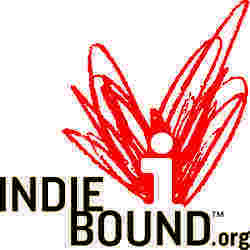 Thanks so much and best regards to you and much success in all your endeavors.